Disgruntled ANC members in Limpopo have confirmed they will return to court after the party held its elective conference in the province over the weekend. As ANC province after ANC province ends up in court, public trust in the party will continue to diminish. Former Free State premier and provincial party chairman Ace Magashule might be an unlikely candidate to preach about unity, renewal and following due processes within the ANC, but the party’s secretary-general is its chief administrative officer and addressed delegates at the Limpopo elective conference over the weekend of 22-24 June. He said the movement was experiencing “interesting moments”. That’s one way to put it. Among a host of other problems, the party just can’t seem to hold a provincial conference that doesn’t go to court. The Limpopo ANC conference Magashule was speaking at is the latest to be taken to court. 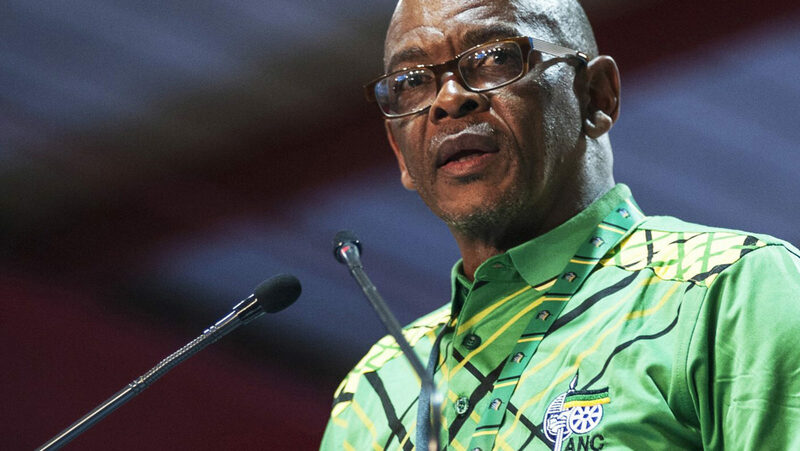 “Our movement is confronted by the growing counter-revolutionary and self-serving tendencies of opportunism, crass materialism, triumphalism, and right-wing and left-wing populism and demagogy,” Magashule told Limpopo delegates. “These are the worrisome tendencies that if not attended to, have the preponderance to erode the moral fibre of our revolution. “The greatest enemy of the ANC is the ANC itself and the only thing to save the ANC is the ANC itself,” said the former ANC Free State chairman, who failed a number of times to hold his own provincial conference within the laws of the ANC. Given the irony of Magashule’s pleas, there’s little surprise that the Limpopo ANC conference is the latest being taken to court by party members who believe it must be nullified because the former provincial executive committee (PEC) overstayed its term. Representing disgruntled members from the party’s Peter Mokaba region, attorney Tumi Mokwena, said his clients will file court papers seeking to have the conference, where new provincial leaders were elected, nullified. Magashule was right: The ANC is its own worst enemy, but given the litany of court cases resulting from regional and provincial meetings, the national party appears unable to control, let alone save, itself. The disgruntled Limpopo members went to court to interdict the conference but their case was rejected on the basis of urgency. Mokwena said it was “very interesting” that the ANC didn’t want to resolve the issues and argued on the basis of urgency. Representing the complainants, advocate Dali Mpofu hammered the ANC’s processes ahead of the conference. The ANC has maintained that the PEC’s extended term and preparation ahead of the event was legitimate. The conference saw Limpopo Premier and ANC chairman Stan Mathabatha re-elected unopposed. Musician Papa Penny, aka Eric Kobane, Mathabatha’s only potential opposition, didn’t secure the nominations to challenge the incumbent, despite the press he earned during his campaign. Soviet Lekganyane was returned to the position of secretary after he left the job when the PEC was disbanded in 2013. The ANC’s alliance partner the SACP opposed his election, claiming he had “destroyed and sabotaged” the party in the province. Limpopo SACP spokesperson Machike Thobejane acknowledged Lekganyane was democratically elected by branches and said the SACP would try to work with the ANC leadership. But he suggested the ANC was recycling leaders and potentially harming its chances in the 2019 elections. Danny Msiza retained his position as treasurer while Bioskop Makamu was elected deputy secretary. Florence Radzilane was elected deputy provincial chairwoman. As Vhembe mayor, there are questions over her municipality’s decision to invest over R300-million in the troubled VBS Mutual Bank. The upcoming legal challenge against the ANC’s Limpopo conference appears to involve fewer members than in other provinces where the ANC is being taken to court, but the fact that the party faces another legal challenge suggests it lacks control over its own members and can’t rid itself of factionalism. Magashule has assured the public that every box had been ticked for the conference in Limpopo to go ahead. The ANC has a pattern of saying everything is okay, until the courts rule against the party. ANC members in Free State, Eastern Cape and KwaZulu-Natal have all gone to court recently to challenge provincial conferences, adding to the perception that President Cyril Ramaphosa and his divided senior leadership are failing to overcome the factions that define the party. Addressing the Limpopo ANC conference on June 24 2018, Ramaphosa acknowledged that the court cases would affect the party’s 2019 election chances. “The ANC is now seized with improving our own internal processes to make it impossible for manipulation of processes aimed at achieving a predetermined electoral outcome. We need to do this to curb this newfound sport and passion of people who always want to take the ANC to court,” he said. The new national ANC leaders continue to discourage members from going to court to question internal party issues and just like their predecessors are close to vilifying those who do. But as the party pretends it is in control, it’s clear the courts remain the only legitimate arbitrator of ANC disputes.